The 1960s were where the times really began to change for the Volkswagen Group. First of all, there was a name change due to the floatation of the company on the German stock market. They would now be known as Volkswagenwerk Aktiengesellschaft going forward, often abbreviated to Volkswagenwerk AG. A few years later, the 1st of January 1965 to be exact, saw Volkswagenwerk AG acquire Auto Union GmbH from Daimler-Benz. The Auto Union is the company we know today as Audi. Volkswagenwerk AG acquired them because Daimler AG felt the market for two-stroke engines was extremely limited with customers more inclined to purchase four-stroke models. Shares were sold, and through the assistance of the West German Government, Volkswagenwerk obtained them. The acquiring of Auto Union GmbH saw the first post-war Audis produced. These were the Audi F103s, and unlike the previous two stroke models, these were equipped with a four cylinder, four-stroke engine. Four years after acquiring Auto Union GmbH, German manufacturer NSU Motorenwerke AG was merged into the company. This saw a new company created with a new business name, Audi NSU Auto Union AG. It became known as Audi AG in 1985. NSU were manufacturers of automobiles, pedal cycles and motor cycles. 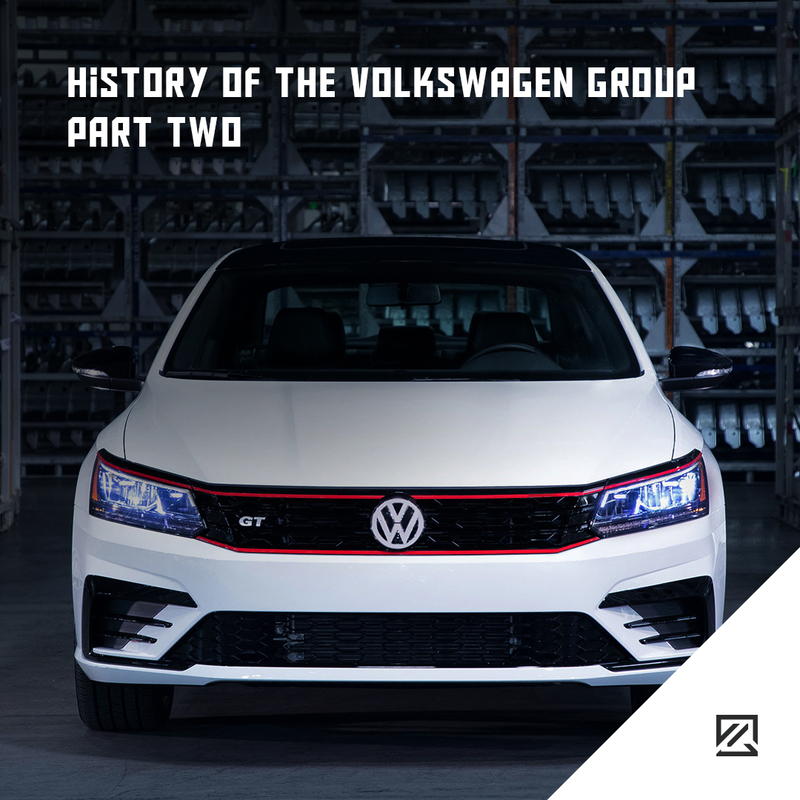 Many know Volkswagen AG as V.A.G but apart from being used in distribution and leasing activities, for example, the name V.A.G never had an official meaning, and it was never the name of the Volkswagen Group in any way, shape or form. Volkswagenwerk signed an agreement to co-operate with SEAT, the Spanish car manufacturers, in the year 1982. This would see the German company operate outside its Wolfsburg base for the first time, venturing into pastures new. It was due to the company looking to spread their wings that brought about a name change. The 4th of July 1985 saw Volkswagenwerk become known as Volkswagen AG. The company wasn’t done with SEAT though as Volkswagen AG obtained a 51% controlling stake in the Spanish car manufacturers in June 1986. They followed this up six months later by increasing their stake in SEAT to 75%. The Spanish car manufacturers were the first subsidiary of the Volkswagen Group who were non-German. Volkswagen AG were looking to continue to grow, and they took full control of SEAT in 1990, quickly following that up with a joint venture agreement with Skoda. The process began, just as it did with SEAT. Volkswagen took a 30% stake in the Czech car manufacturer in 1991, increasing this to 60.3% in ’94 and then to 70% in ’95. The German car manufacturers were on the up and growing rapidly.